Wanna’ can the alerts? Ditch the self-monitor! Does that sound at all familiar? Oh, it may not be the same sensations, but I’m thinkin’ you know the drill. 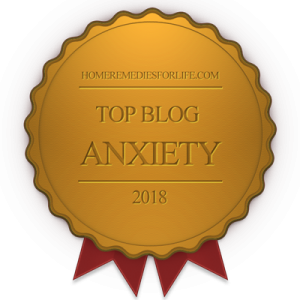 You hate your mood and anxiety symptoms, don’t you? So much so that you awake wondering if they’re lurking about – or will make an appearance later in the day. Much of this self-monitoring biz is about the phenomenon, interoception. And learning about it paves yet one more road to freedom. 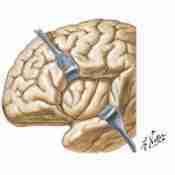 Let’s start with a smidge of brain anatomy – the insular cortex. “Bill, why are you blessing us with this fascinating (cough, ‘boring’) anatomy lesson?” How ’bout this? It’s now known that the insula are responsible for what it feels like to be human, as opposed to just another mammal. And that means they’re deeply involved in a wide variety of functioning linked to emotion and the body’s ability to maintain a relatively stable state of internal regulation and equilibrium (homeostasis). So is it any surprise the insula are frequent contributors to mood and anxiety woes? One of these is based in something known as interoception. Interoception is the sensing of stimuli arising from within the body, especially the major organs of the trunk. A great example is the ability to time your own heartbeat. The insula are also activated upon physical exertion and become involved with blood pressure control, especially after exercise. Perceived intensity of pain, how we imagine pain would feel in our own bodies when we observe images of painful events involving others, the degree of the skin’s non-painful warmth or coldness, sensations of a distended stomach and full bladder, loss of balance, vertigo, and the sensations involved with passive listening to music, laughter, crying, and language. All are survival-designed; however, they’re experiences your 24/7 self-monitor may tune into – generating bunches of anxiety and mood trouble. Think so? I wrote the first of several articles on the new antidepressant Viibryd (vilazodone) this past March. The response has been super, chipur readers being forthright and detailed in their comments. As with any antidepressant, Viibryd is bringing side effects – some, no doubt, temporary. Problem is, being a new antidepressant, there’s no track record upon which any sense of norm can be established. So readers are max-concerned (and hypervigilant) about lower GI symptoms, light-headedness, spaciness, bloating, weight gain, fatigue, inability to initiate sleep, sexual dysfunction, muscle aches, and more. Who could blame them? These are legitimate and serious concerns. However, I’m thinking a good bit of the worry is grounded in pathology. The 24/7 self-monitors are absolutely crankin’. But it’s important (and comforting) to know there’s a reason for it – it doesn’t present out of thin air. And the natural workings of the insula and interoception provide said reasoning. However, remember – you always have the authority and ability to intervene and manage!!! Haven’t we learned over and over again that each new emotional/mental health disorder experience opens the door to management – well beyond the immediate issue? And here it is once more. Understandably, there’s so much hub-bub over very inconvenient and upsetting side effects. But in the midst of it all comes insight into how we emotionally, mentally, and physically function. In this case the lesson is coming to understand – and manage – our very sensitive 24/7 self-monitor. Knowing it’s on – and why – is the only way to turn it down – or off. 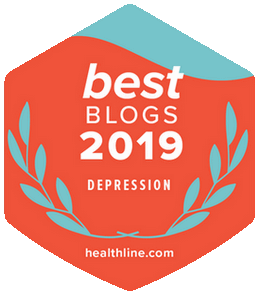 To catch a listing of all chipur articles on the psychology of depression, anxiety, and bipolar disorder – click here.